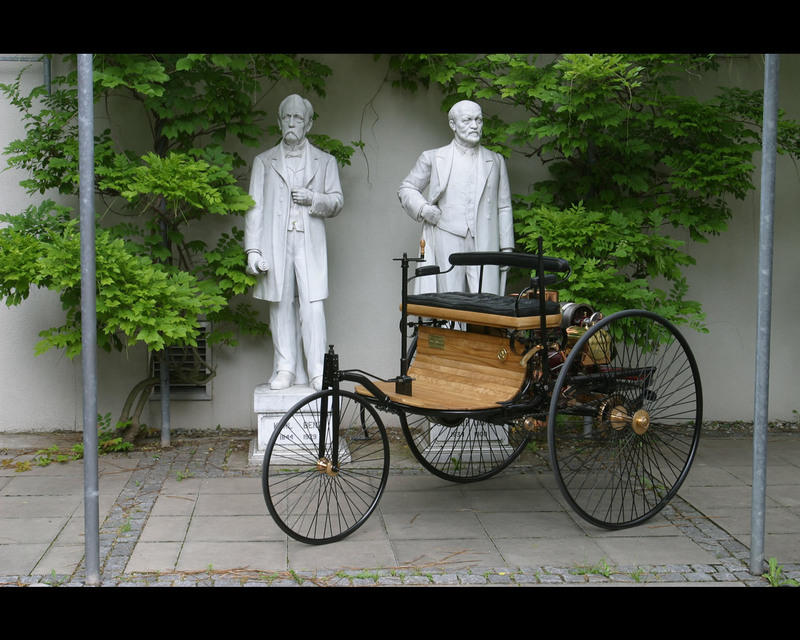 In 1879, Karl Benz started producing stationary gasoline engines. 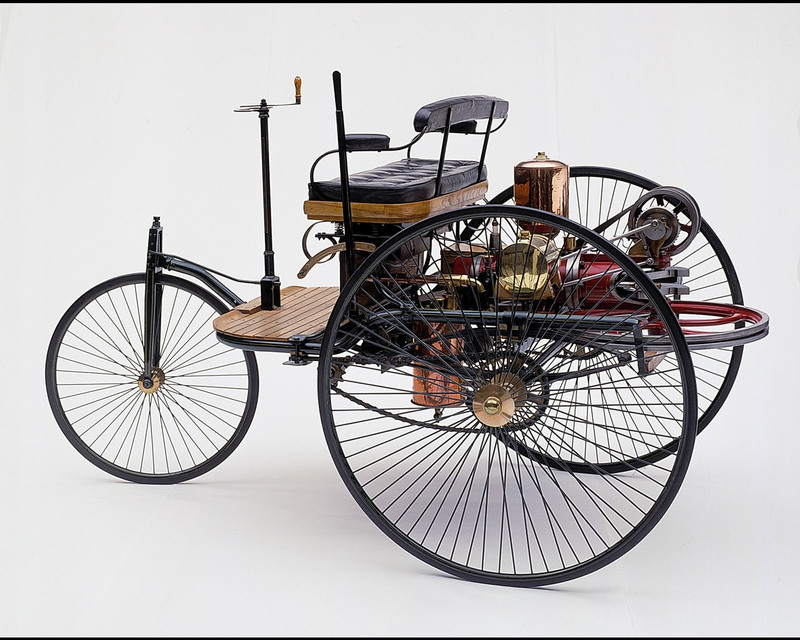 Benz had so much commercial success with this engine that is was able to devote more time to his dream of creating a lightweight car powered by a gasoline engine, in which the chassis and engine formed a single unit. 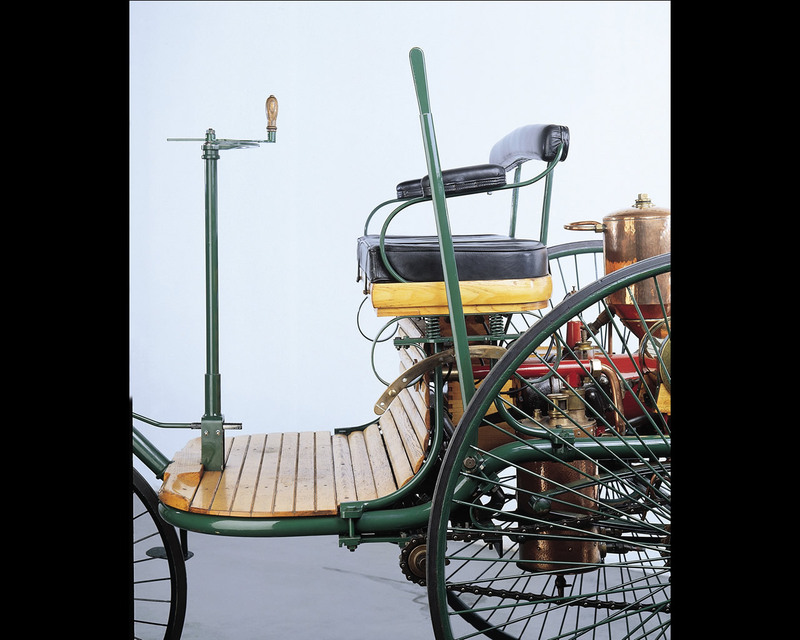 The major features of the two seater vehicule, which was completed in 1885, were a compact high speed single cylinder four stroke engine installed horizontally at the rear, the tubular steel frame, the differential and three wire-spoked wheels. 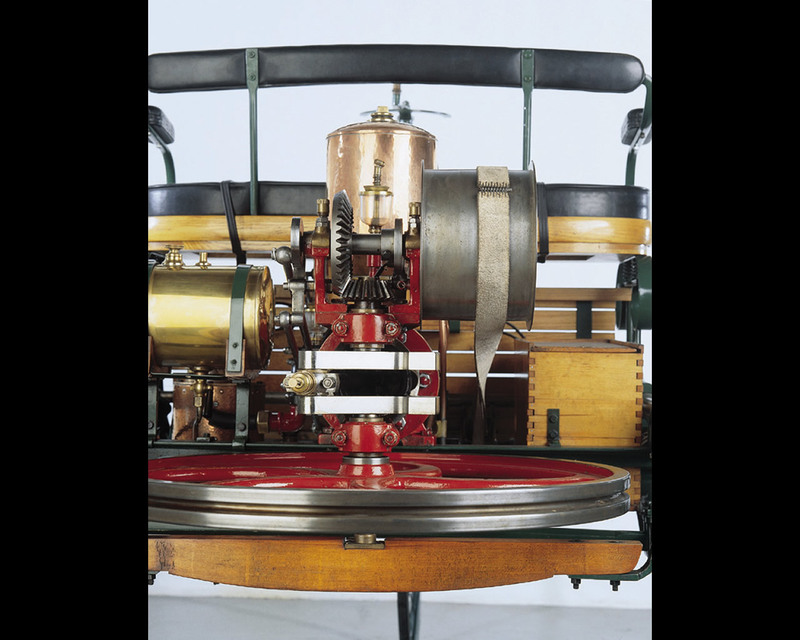 The engine, which has a cylinder width of 90 mm and is mounted on springs above the axle, between the two wheels at the rear, develops almost one horsepower and runs at 300 revolutions per minute. Details included an automatic intake slide, a controlled exhaust valve, high voltage electrical "buzzer" ignition with spark plug and water/thermosyphon cooling. 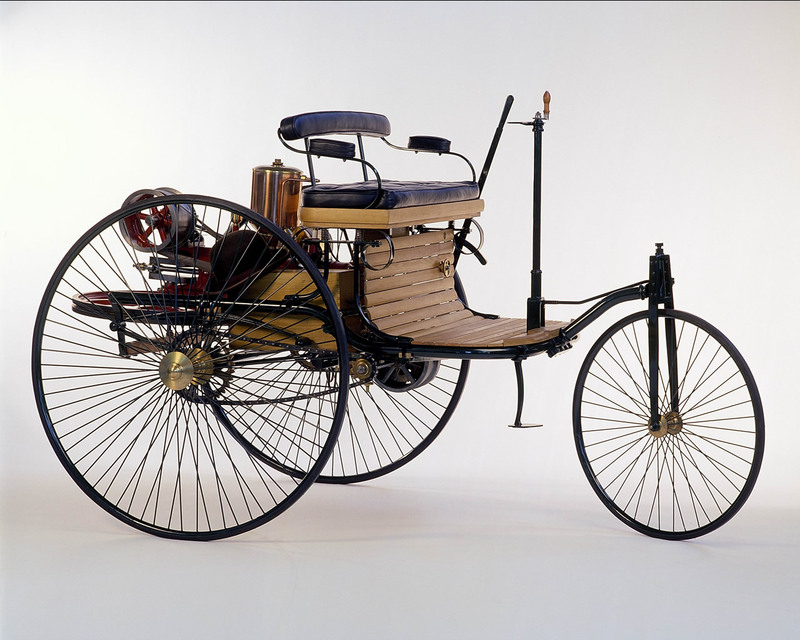 On January 29, 1886 Karl Benz applied for a patent for is "Vehicule powered by a gas engine". The German patent -number 37435 - subsequently awarded to him may be considered as a birth certificate for the automobile. 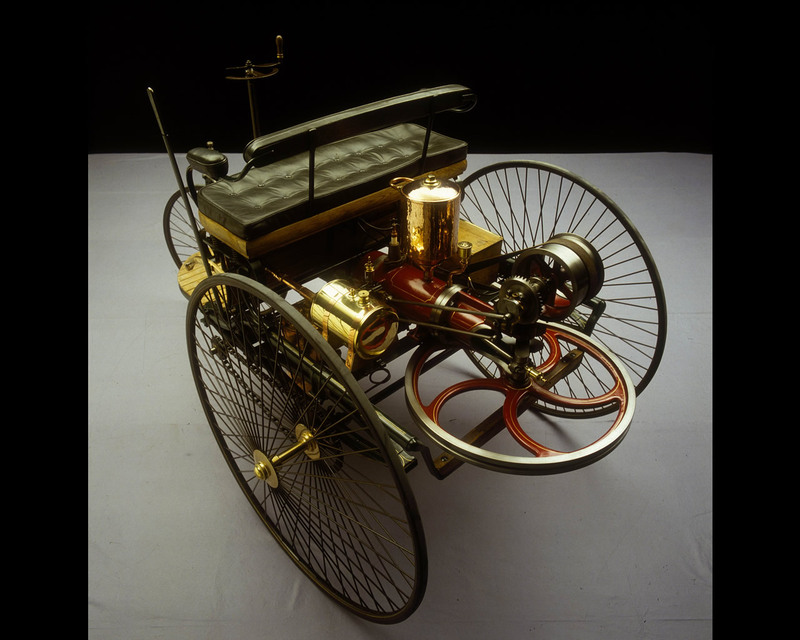 In July 1886 the German newspapers reported on the first public outing of the three-wheeled Benz Patent Motor Car, Model 1. 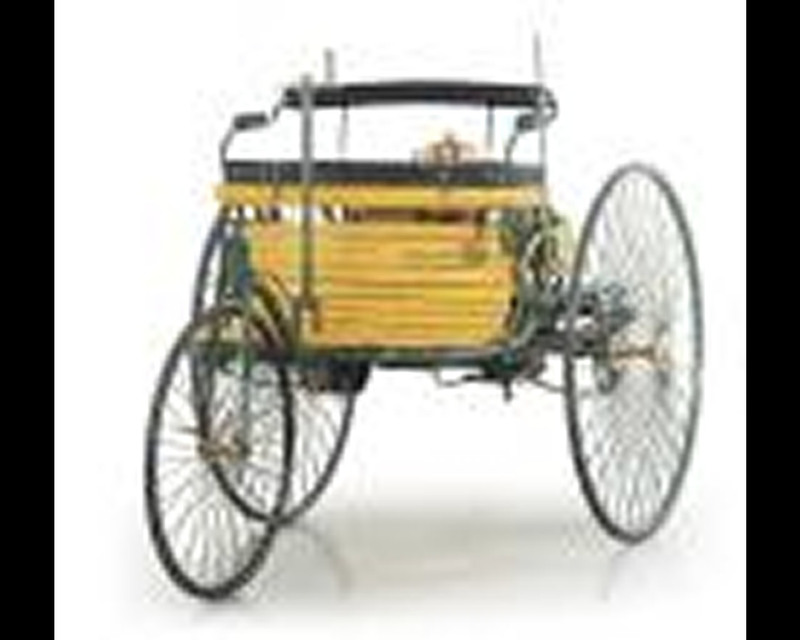 Using an improved version and without her husband'knowledge, Benz wife Bertha and their two sons Eugen and Richard embarked on the first long distance journey reported in German automobile history on an August day in 1888. The route included a few detours and took them from Manheim to Pforzheim, her place of birth. With this journey of 180 kilometers including the return trip, Bertha Benz demonstrated the practicality of the motor vehicule to the world.